Copyright: While copyright of all work submitted for these awards remains with the respective entrants, the entrant grants to Paris Photo and Aperture Foundation a worldwide, irrevocable, and perpetual license to reproduce representative examples of the submitted entries in any of their publications, websites, and/or in any promotional material, strictly in connection with the award, and with reference to the photographer/artist and publisher, as relevant in each case; and to exhibit the books entered anywhere in the world for public display. 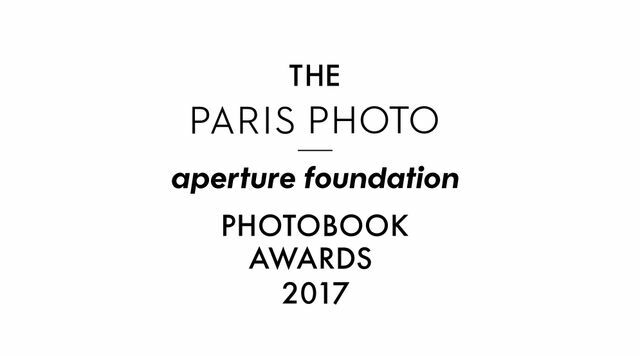 A $10,000 prize will be awarded to the photographer(s)/artist(s) whose first finished, publicly available photobook is judged to be the best of the year. Twenty books from this category will be selected for the shortlist, presented to the Jury for the final selection and exhibited during Paris Photo. Online submission of digital photographs via the website. All books must be received by Aperture’s New York office by September 15, 2017. You need to mail your book by post.